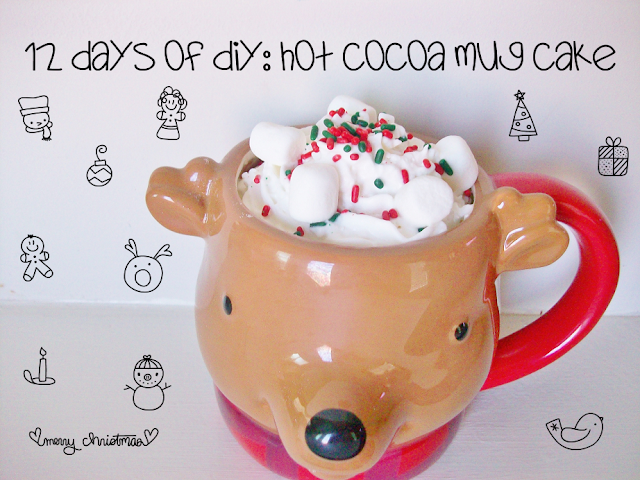 On the sixth day of Christmas I made this for you, a hot cocoa mug cake! A mug cake is a cake cooked inside a mug in a microwave for a few minutes! A few weeks ago my sister was making some hot chocolate and that's when I got my idea to create a hot cocoa mug cake! What's great about this recipe is that you can use whatever hot cocoa mix, milk, oil, and sugar you want! Microwave time may vary depending on what ingredients you use but they should all taste similar. 1. 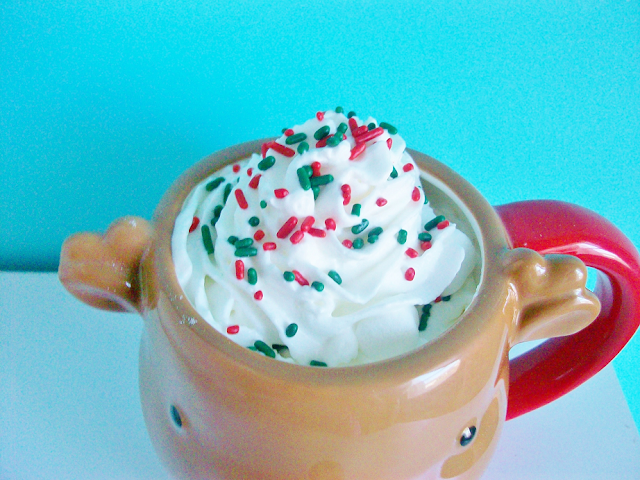 Spray your mug with cooking or baking spray. This is so that your mug doesn't get messed up. I almost messed up my favorite mug by not doing this the first time! 2. 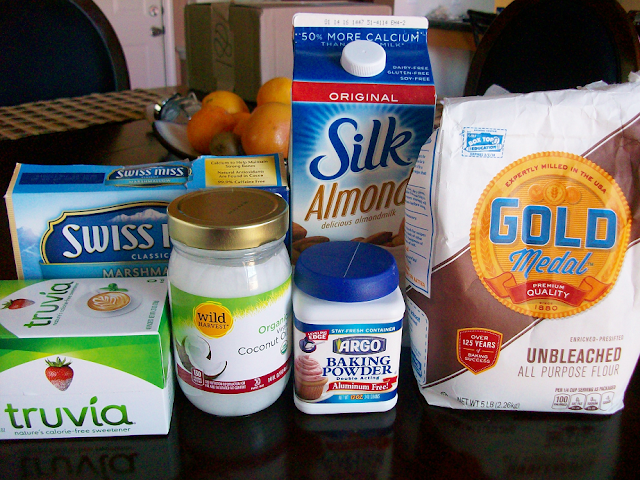 Mix all the ingredients in the mug with a whisk until the batter is smooth. 3. Pop in the microwave for 30 seconds. Let it sit for 15 seconds. 4. 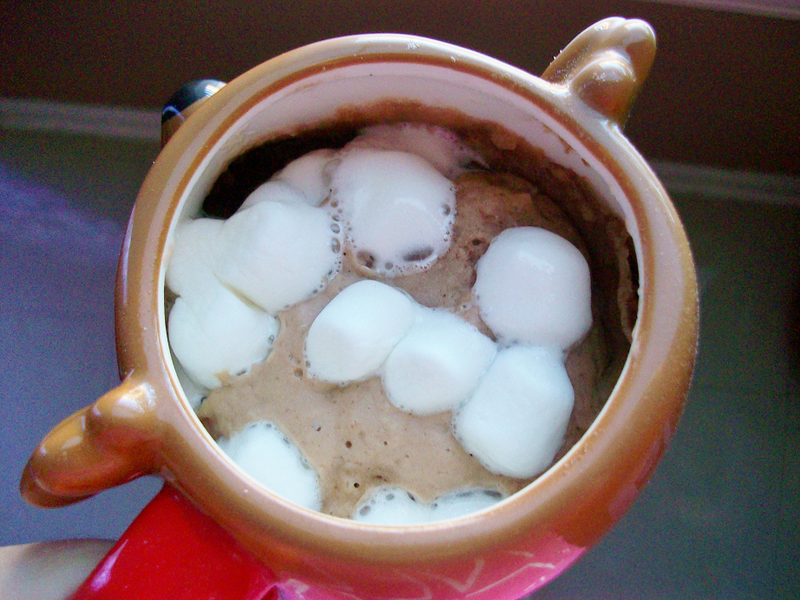 Sprinkle a few mini marshmallows inside the mug. Microwave for another 30 seconds. To ensure that your cake is properly baked insert a toothpick or fork, if it comes out clean then it's ready. If it comes out with batter then microwave for 15 more seconds. 5. Let your mug cake cool down for 5 minutes before decorating and devouring! Done!